Parents and guardians around the country have many things in common, and one example of this is that they all want to teach their kids how to go about life. Every parent wants their kid to be happy and healthy, which is why it’s so important to teach and guide them as they grow. We teach our kids how to spell their name, we teach them to look both ways before they cross the street, and for a skill that our pediatric dentists are especially excited about, we teach our kids to brush their teeth. Brushing our teeth is easy enough, but how do we teach our kids to develop this skill that’s become second nature to us? The dentists from Treasured Teeth are here to help. Take a look at how to help your kids brush their teeth, and you’ll be well on your way to helping them be set up for dental success! 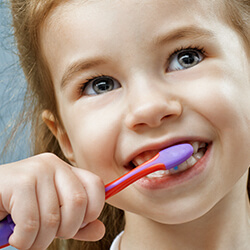 Brushing is hardly anyone’s favorite activity, and for parents who are trying to make bedtime go as smoothly as possible (aka every parent), making brushing teeth fun is a great way to do so. Our pediatric dentists fully believe in combining fun and dental hygiene, which is why we have a giant pirate ship at our Thornton and Reunion locations for each of our young patients to play on. Trust us when we say that it’s possible to make teeth brushing a fun routine, not an activity that results in pulling your hair out. Kids love playing pretend, and a great way to spark their creativity while also getting the job done is by using your imagination. We briefly touched on this earlier, but pretend that the toothbrush is actually a magic wand. It magically cleans their mouth, but only if they hold their wand a certain way. You and your kids could even make up a fun spell to say while brushing, in order to activate its powers! For other imaginative ideas, think about what your child loves, and go for it. Are they into pirates? Make the toothbrush a sword that fights against bad bacteria and plaque. Love animals? Make up different styles of brushing, saying things like “today we’re going to brush some crocodile teeth!” Then, let them think of other animals they love in the future. Who wouldn’t love getting to listen to their favorite song as they brush their teeth? You might not want to get your kids too pumped up before bed, or feeling too mellow before they get ready for the day, so it’s important to consider how music can affect their moods. All things considered, music is a great way for them to love this part of their day. Play only 30-60 seconds of the song, and when it’s up, press pause. Have kids rinse their mouths, then press play when they’re done, and have a dance party! Pick one song for the week to eliminate the time spent trying to find the perfect song. Choose music that’s soothing, or maybe not music that they know so that they’re more focused on brushing than trying to sing and dance along. For the kids who are just struggling to brush their teeth, or when brushing feels less like a routine and more like a warzone, it’s time to call in the troops: sticker charts. Set your expectations clearly for your child, and explain that if they meet these expectations, they’ll get a sticker. After x amount of stickers, they’ll have a reward. Though we recommend making this experience-based, and not material-based. You don’t want to make it seem like this normal part of life is something that ends in a toy every time. Take them to a new park, go for a bike ride, or something else that’s a reward, but smaller in scale. Eventually, as they begin to adapt to this, set the stakes higher (as in, increase the number of stickers it takes for the reward to happen), and slowly wean them off this form of motivation. Hopefully these tips are helpful for your family to get your littlest ones set up for dental success. Remember that at any point, our pediatric dentists are here to help your children grow in their dental habits in the best of ways. 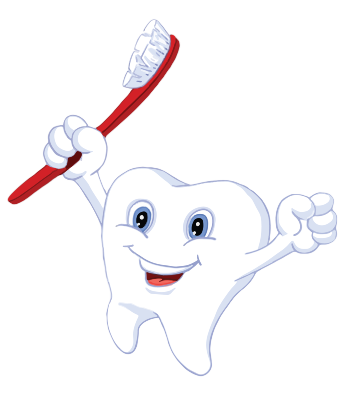 Feel free to call or rely on Treasured Teeth for any of your pediatric dental services!